Nemo granted use of his Farm Pond channel Cat pic. We haven't had much happening in this board for a while. Anyone else have a pic to contribute? 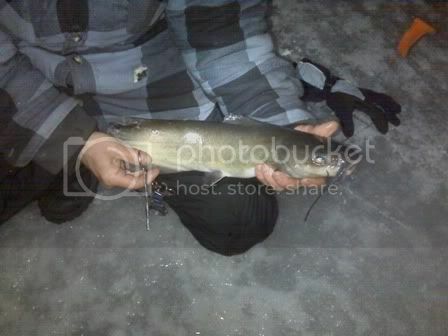 trying to post my first photo, an 11lb 2 oz channel cat i jigged up at lake galena feb 1st. lots of fun through a 6" hole! WOW that thing is a pig WTG! Nice. Are they being taken hitting the bait or foul hooked? 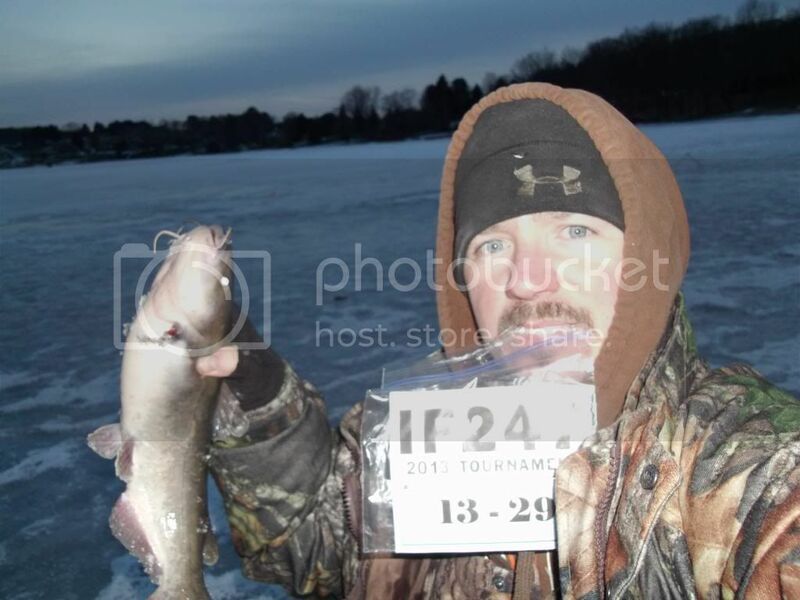 Here's a nice bullhead I released after he inhaled a medium shiner on a tip up set for perch. Don't have pics but I caught one on a jig and waxy so I dead stick-ed cut bait from a shiner and got three more and lost two more at the hole. They add a lot to a small catch of pannies.